Trend No. One: A pop of color. In the past, appliances were typically found in colors like white, black, and silver, but recently colorful appliances are all the rage in kitchens. From pastels to dark colors, appliances are making a bold statement in kitchens around the world. Trend No. Two: Go for gold. 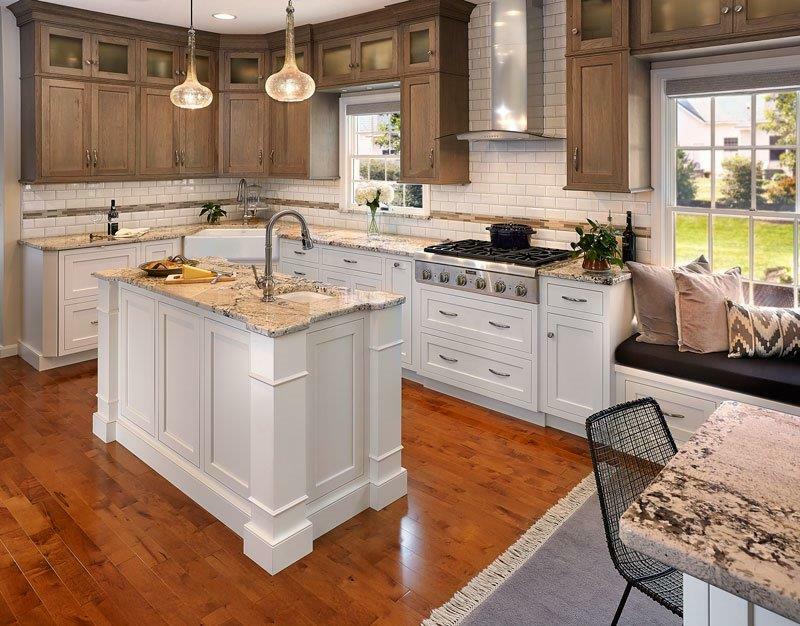 Stainless steel has made its mark in kitchens everywhere, but recently homeowners are incorporating copper or gold tones into their kitchens. The trends are moving from a once strictly silver zone to a gold paradise. Copper and gold pair well with a lot of colors and can transform a once out-of-date kitchen into a trendy oasis. Trend No. Three: Out of the woods. Wooden cabinets were a classic choice for kitchens in the past, but colored cabinets have made their way back into our hearts. We see ourselves moving from the once loved “dark wood cabinets” to dark gray cabinetry or black cabinetry. The best part about this recent trend is that you can keep your current cabinets, but just repaint them! Trend No. Four: Brick Tile. Backsplash has never looked so good with this eye-catching texture. This brick-look tile creates a beautiful backsplash. This tile gives a fresh update to your kitchen while bringing its own classic feel to the room. Conestoga Tile offers a variety of brick-look tiles and would love to show you how this material could transform your kitchen. Trend No. Five: Gotta have greenery. A trend that never seems to fail us is greenery. Plants can add something to a space that nothing else can match. Greenery brings in the beauty of the outdoors.When in doubt, add a plant to your kitchen decor. We hope you enjoyed these five kitchen trends! If you are interested in learning more about brick-look tile, we would love to help you discover all the possibilities for your home. Stop in or contact us for more information.